What are the benefits of Agile Adoption? What challenges are faced during Agile Adoption? These words may seem a little over dramatic, but the rate of change of Commerce has never been greater. It is increasingly important to be able to respond to market changes in order to remain competitive, as new markets emerge and old markets dry up faster than ever. The Software Development industry is moving to Agile methods of delivery in preference to traditional Project Management methods in response to the increased rate of change. Organisations who are not acting to embrace this move are damaging their and their clients' long term prospects. 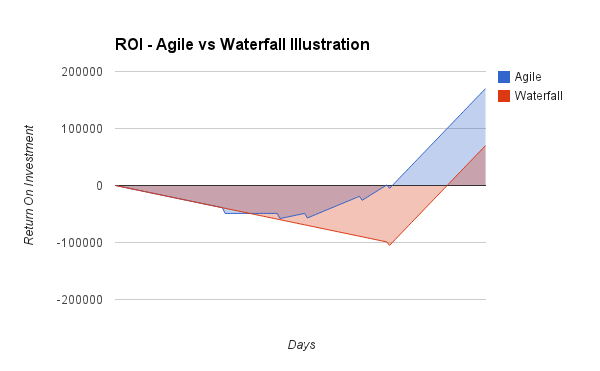 Agile is an alternative approach to the widely used, phase driven Waterfall method of managing projects. Agile works especially well when used in non-repetitive, complex environments such as Software Development. Early and continuous feedback is built in to Agile methods so that there is always a known mechanism for reducing or removing uncertainty at an early stage. Agile projects advocate early and frequent delivery to the customer. This has the double effect of producing improved return on investment (ROI) and reducing remaining project risk of the project failing to deliver anything useful. It is clear that there are many benefits to adopting Agile Software Development practices. However, the road to adoption of these practices is littered with challenges. If well implemented, an Agile transition will position your organisation so that it is set up to expect, embrace and respond to change. No doubt in some cases, the new found ability to change will drive the next big changes in your market place. Whether your specific challenges are people or technology centred - they are probably both - Facilligent has experience and qualification in this transition and can help you to realise your potential. © 2017 Facilligent Ltd. Registered Company Number 8446274. Registered VAT Number 182 9432 86.